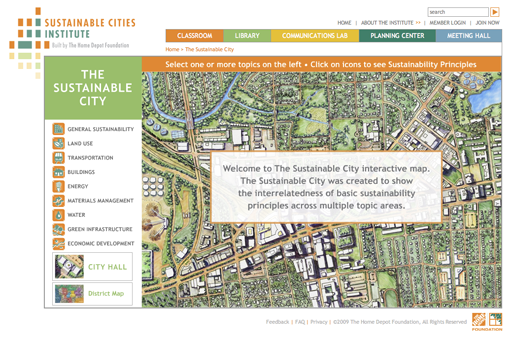 The Home Depot Foundation has completed the updated Sustainable Cities Institute website. 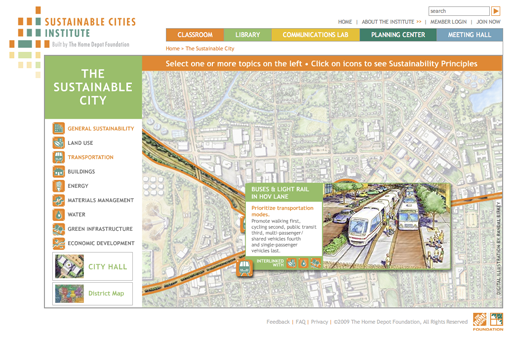 Randal Birkey created the base map illustration that the interactive Flash application is structured around. 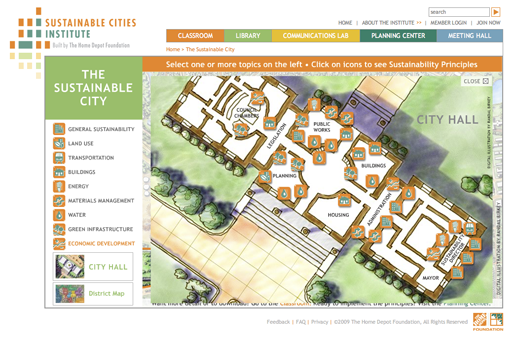 Randal also created the site plan for the City Hall section of the application. Finally, he created the view of how transportation could be integrated in more sustainable and environmentally friendly ways by city and urban planners.